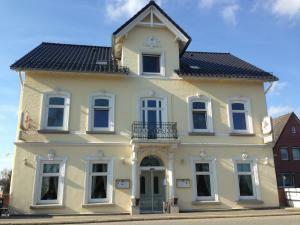 This small family-run hotel is situated south-east of Hamburg, only 15 km from the centre and 25 km from the airport. The exhibition grounds are ca. 18 km away. Here you will be warmly welcomed and can enjoy attentive service, bright and modern rooms, a restaurant with steak specials and Croatian cuisine and a beautiful garden right on the water. Whether you are here on holiday or on business, this idyllic location, right on the Doven Elbe River and in the Vierlande and Marschlande regions, is the perfect place to relax and unwind.